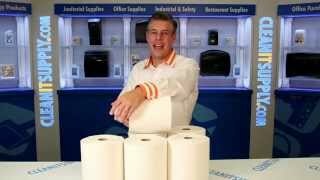 These Kleenex hard roll paper towels from Kimberly Clark are ideal for hand-drying when used with a compatible dispenser. With a minimum of 40% post-consumer recycled material, these roll towels meet EPA standards. 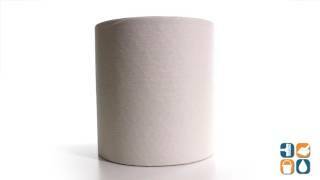 Coming in 600-ft. rolls, Kleenex hard roll paper towels feature absorbency pockets to absorb a lot of water quickly, so fewer towels are needed to dry hands. This helps reduce waste and lower costs, making these hardwound 8” wide towels ideal for Class A facilities, restaurants, hospitals, nursing homes, schools, churches, business offices, manufacturing facilities and more. Manufactured in the U.S. by Kimberly Clark Professional Paper Products - a brand name you can trust. Stock up on Kleenex hard roll paper towels today and save! product is what we expect. top quality product. Use in Dr.'s facility and product has never let me down. i have a customer who uses this particular product and they are very happy with it.